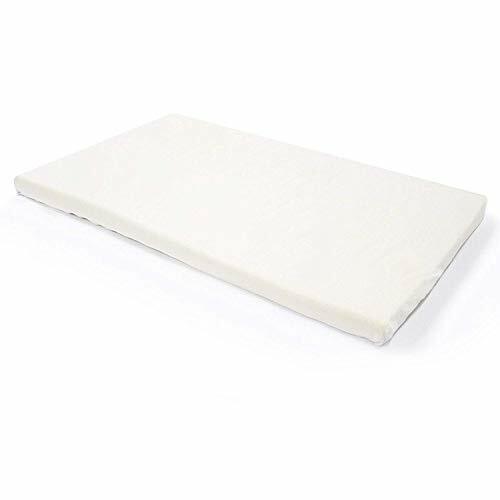 The Milliard Baby Crib Memory Foam Mattress Topper is designed to provide ultimate comfort for your little one. Also you will sleep better knowing that your little one is getting a healthier night's sleep with a Milliard Topper. The mattress topper fits perfectly into cribs. Measures 51.5" x 27" x 2". MORE DETAILS - Soft topper is not intended for babies. Consult with physician for safety recommendations. Topper measures. 52 x 27 x 2. Please allow 24 to 48 hours for foam to expand after opening. Whatever your toddler's decor, the timeless design of the Delta Children Wood Toddler Bed will be the perfect addition to their room. 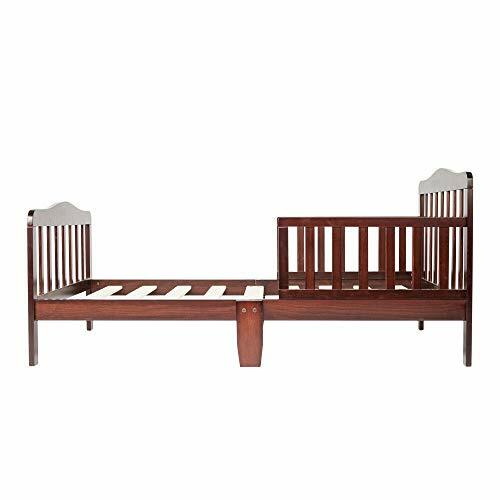 Featuring a sturdy wood construction with classic molding on the headboard and footboard, this low to the ground toddler bed is topped with two guardrails, ensuring a safe sleeping experience for little ones, and making the transition from a crib to big-kid toddler bed super-easy. Delta Children was founded around the idea of making safe, high-quality children's furniture affordable for all families. They know there's nothing more important than safety when it comes to your child's space. That's why all Delta Children products are built with long-lasting materials to ensure they stand up to years of jumping and playing. Plus, they are rigorously tested to meet or exceed all industry safety standards. Make her space extra-special with a little help from Minnie Mouse! 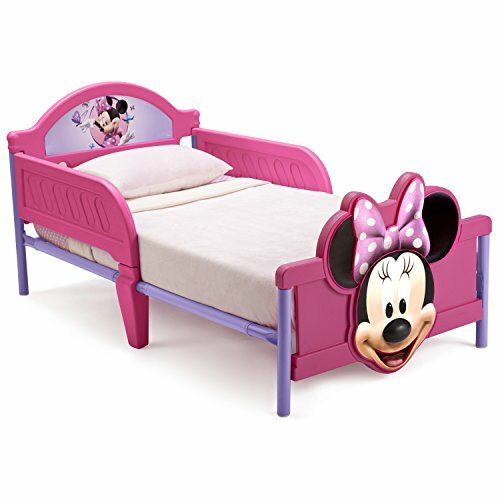 Boasting colorful graphics of Minnie and her BFF Daisy Duck at the headboard and footboard, this Minnie Mouse Toddler Bed from Delta Children helps your girl make the transition from crib to big kid bed thanks to the two attached guardrails and low to the ground design. Dream On Me Brookside toddler bed gives your child a fun, colorful and comfortable bedroom. This toddler bed offers a modern frame design that will blend nicely into any child's room and transition with them as they grow with a low to the floor design, it is ideal for your toddler to safely get in and out of bed. It is reinforced for stability with center legs and comes complete with two side safety rails for added security in radiant finishes. 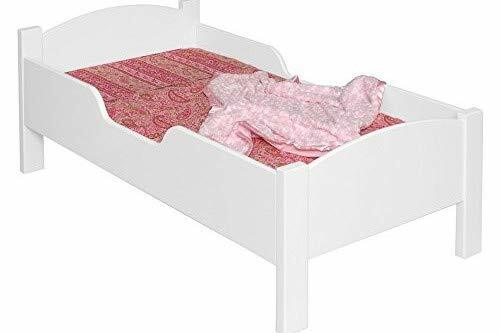 The Dream On Me Brookside Toddler Bed is the perfect transition for toddlers, who have outgrown their cribs, but are still too small for an adult bed. The brilliant combination of playful colors and outstanding comfort makes this bed a perfect way to enhance any child's bedroom. A foolproof method to preventing nighttime falls! No need to cage your toddler or young child in at night with a clumsy metal bed rail in concern of their safety. The Royexe Inflatable bed rail bumper is unobtrusive, easily portable, and proven to be just as safe and effective in preventing falls from the bed! Best of all, you can still snuggle up to your kiddo as they fall asleep. Made of strong, thick PVC material that is free of harsh chemicals, meets and exceeds all CPSC & ASTM child safety regulations TESTED & CERTIFIED. Inflatable for your utmost convenience! The highly popular foam bed rail bumper just got better... in an inflatable design that blows up instantly and flattens completely for effortless storage and portability! Made of durable PVC material in an airtight form, it will prove to be even tougher than your child. The Royexe bed rail guard conforms to any bed or mattress, and works with most sheets. It's non-slip silicone backing adheres securely to the bed, ensuring this safety rail will stay put as your child shifts around. Unlike other foam bumpers, it is water-resistant and immune to nighttime accidents. A guaranteed good night's sleep, anywhere! 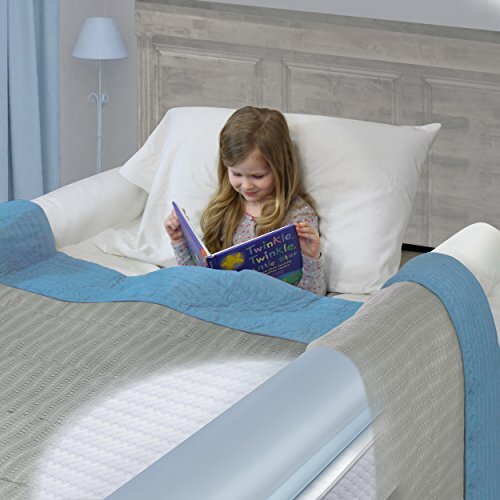 The royexe inflatable safety guard will keep your kid safe when they're sound asleep by providing a gentle reminder of the edge of the bed and causing your child to shift away - even in their deepest dreams. The unique design and shape of this side rail prevents even the most active sleeper from rolling over. Not only does it easily and safely transition your toddler from a crib to a big kid bed, it's the perfect solution for traveling with kids. Take it along on your family vacation, road trip, or hotel stay to safely enjoy a good night's rest. Click "add to cart now" while supplies last! Inspired by classic wrought-iron furniture, the Little Seeds Monarch Hill Ivy Metal Crib is the perfect addition to your child s nursery. 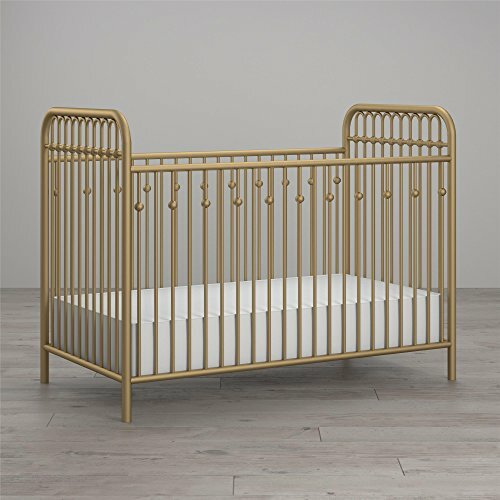 The gold finish on the arched metal frame and decorative ball castings resists scuffs and scrapes to give your child a durable and stylish place to sleep. The metal mattress support adjusts to 3 different heights to keep your baby in their crib for longer as they grow. The Crib fits a standard size crib mattress (not included). Coordinate your child s nursery with other items from the Monarch Hill Ivy collection (sold separately). The Crib meets or exceeds the CPSIA Juvenile testing requirements to ensure your child s safety. The Crib ships flat to your door and requires assembly upon opening. Two adults are recommended to assemble. The Crib can support up to 30 lbs. Once assembled, the Crib measures to be 40.63 H x 54.5 W x 29.45 D. Little Seeds partners with the National Wildlife Federation s Garden for Wildlife program to help save the monarch butterfly. 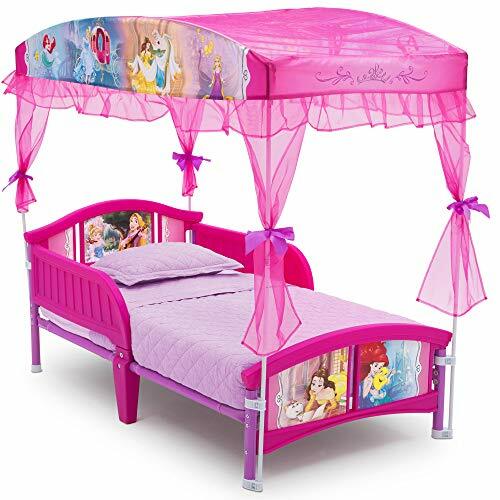 Create a fairy-tale bedroom with this Disney Princess Canopy Toddler Bed from Delta Children. Designed in bold shades of pink with enchanting decals and graphics of Cinderella, Belle, Ariel and Rapunzel, this sturdy kids' bed topped with a sheer organza canopy will make bedtime a royal affair. Finished with two attached guardrails to help keep your little one from falling out of bed while sleeping, the Disney Princess Canopy Toddler Bed by Delta Children provides the independence your child is seeking, while keeping them safe all night long. This bed will magically transform your little one into a sleeping princess each and every night. About Disney Princesses: From royal castles to happily ever after, the Disney Princesses evoke the stories girls love to dream about. 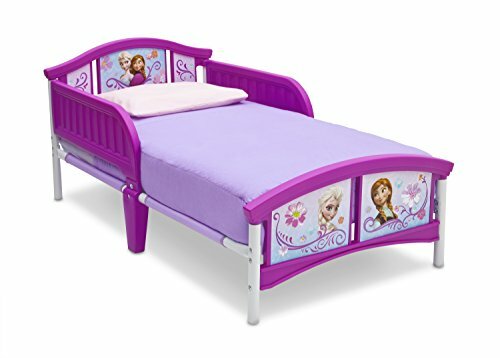 Belle, Ariel and Cinderella are just a few of the famous princess depicted on the Princess-inspired chairs, beds, toy storage and more from Delta Children. 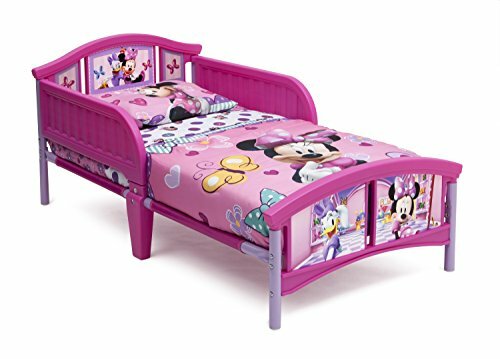 The Disney Minnie Mouse 3D Toddler Bed from Delta Children is perfect for transitioning your little one from crib to big-kid bed. 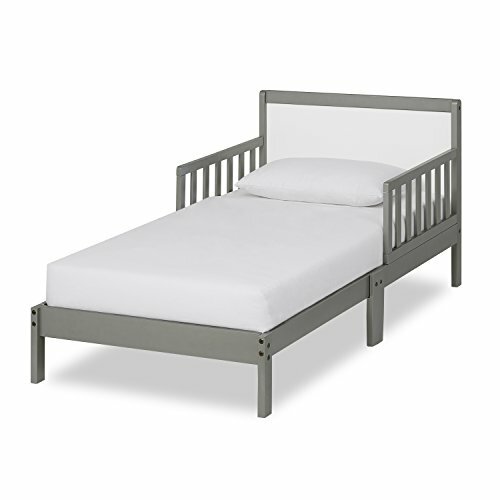 The bed is built low to the ground for easy child access, and comes with attached guardrails for safe and secure sleeping. 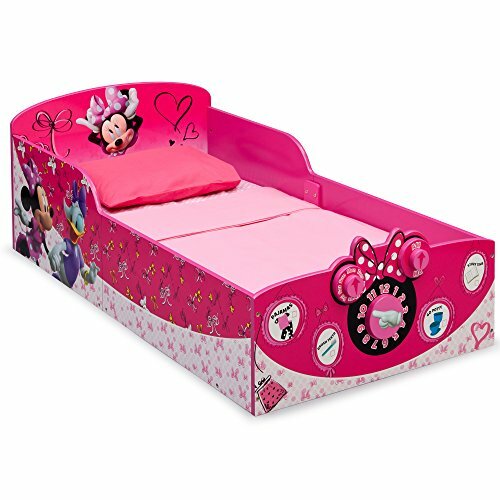 A cheerful pink design featuring Minnie Mouse on the headboard and three-dimensional footboard makes it a must-have for any Minnie-fan. Recommended for ages 15 months+. 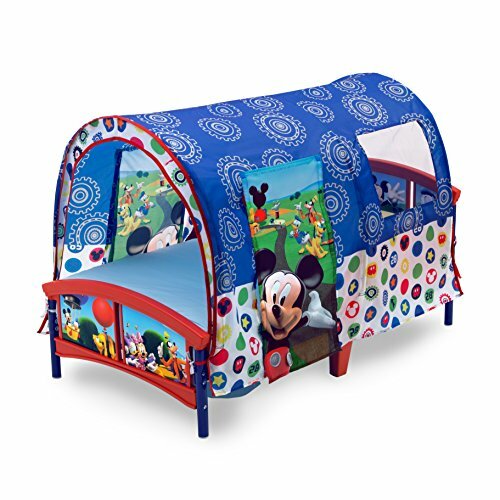 This toddler bed accommodates a standard crib mattress (sold separately) and coordinates with Minnie Mouse bedding (sold separately). About Minnie Mouse: Sweet, stylish and a lover of all things polka dot, Minnie Mouse spends her free time dancing, singing and hanging out with her lifelong sweetheart, Mickey. Help bring her cheerful spirit to your little one s room with this item from Delta Children s colorful collection of Minnie Mouse kids' furniture. No need to put dreams on ice when you can make them come true with this Disney Frozen Toddler Canopy Bed by Delta Children. Designed in frosty shades of blue and purple, this sturdy kids' bed topped with a sheer organza canopy will cause a flurry of excitement. 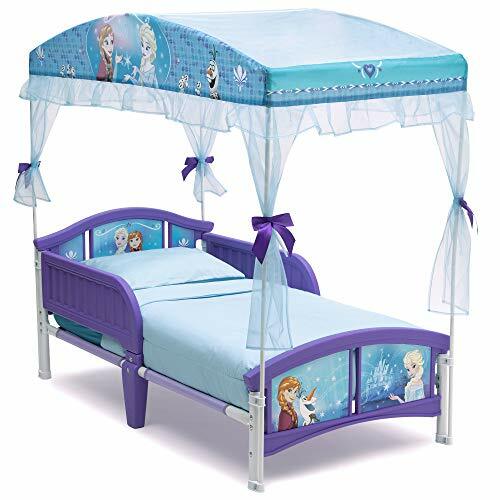 Finished with two attached guardrails to help keep your little one from falling out of bed while sleeping, the Disney Frozen Toddler Canopy Bed by Delta Children provides the independence your young princess is after, while keeping her safe all night long. She'll go on dreamtime adventures to Arendelle in the company of Anna, Elsa and Olaf every night. A cool bed fit for a (snow) queen, this Frozen Plastic Toddler Bed from Delta Children will cast a stylish spell on your girl's room. Designed to keep the movie magic alive, it's outfitted with colorful decals of Frozen's Anna and Elsa, two safety rails, plus a low to the ground design that makes for easy ins and outs. 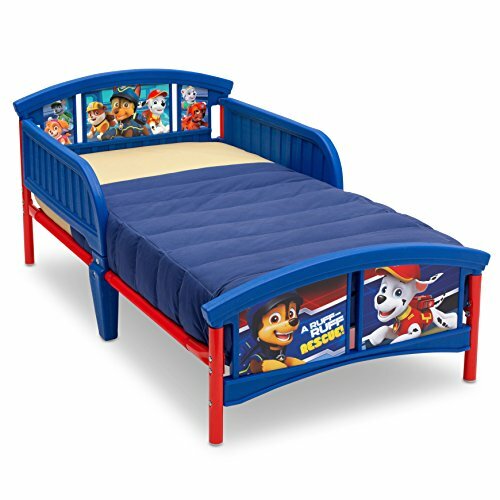 What will your little one love most about this Minnie Interactive Wood Toddler Bed from Delta Children? Will it be the colorful Disney graphics that inspire any mini mouseketeer? Or will it be the before bed checklist and movable clock at the footboard? Actually, we think she'll love it all! And parents will love the sturdy wood construction with elevated sides and low to the ground design that helps create the big-kid room of her dreams. 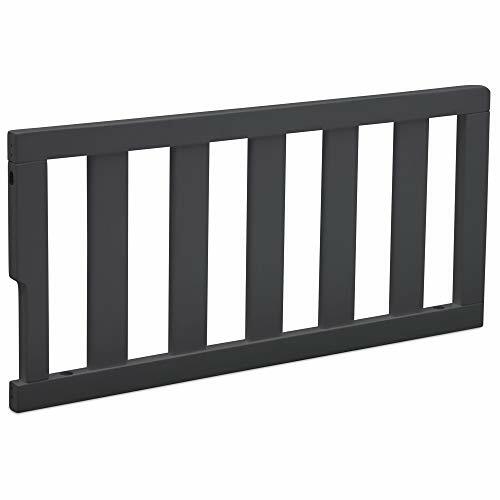 Providing you peace of mind as your little one makes the move to big kid bed, this safe and sturdy Bennington Elite Toddler Guardrail from Delta Children extends the life of your crib by transforming it from a crib into a secure toddler bed. 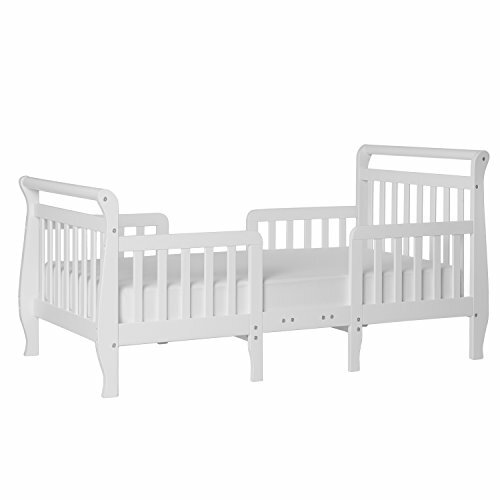 This rail works with the following Delta Children cribs: Bennington Elite Arched 4-in-1 Convertible Crib, Bennington Elite Curved 4-in-1 Convertible Crib and Bennington Elite Sleigh 4-in-1 Convertible Crib. Delta Children was founded around the idea of making safe, high-quality nursery furniture affordable for all families. That's why all Delta Children products are tested above and beyond industry standards. 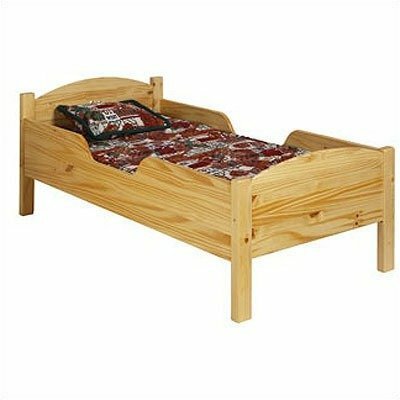 Our Traditional Toddler Bed offers an ideal transition for the toddler who is ready to leave the crib. Safety dictates our design: the bed is low to the ground and features effective roll-out protection on all four sides. 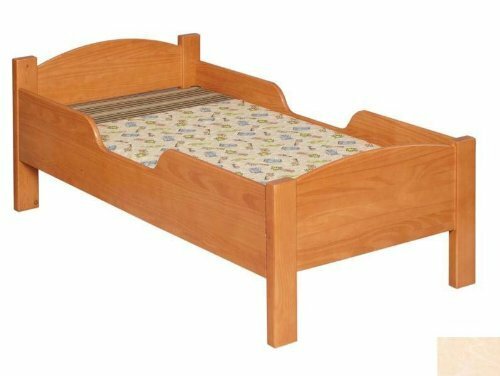 Toddlers always love this special bed since it is their own size and can accommodate their standard crib mattress and bedding. Quick and simple assembly also makes this bed easy to store when not in use. The Traditional Toddler Bed pairs well with the Traditional Bookcase and the Toddler Bedside Stand. 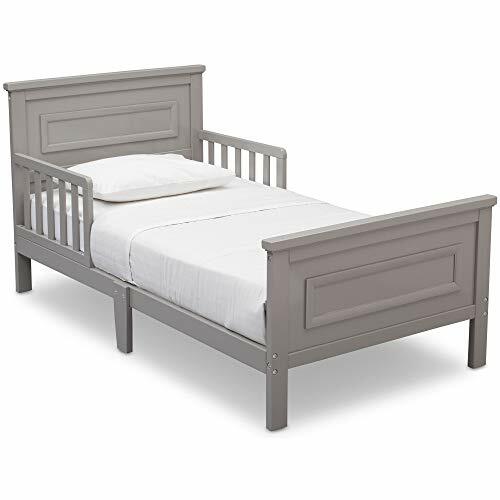 Introductions: The Wooden Baby Toddler Bed Children Bedroom Furniture with Safety Guardrails is the perfect choice for transition from crib to big-kid bed, definitely a must-have for any growing child. It features an simplistic, elegant design that brings a classic look to any bedroom. Guardrails on either side of the bed provide added security to guarantee that your little one will be safe throughout the night. The bed is 8 inches from floor, making climbing in and out of bed safe and convenient for little kids. 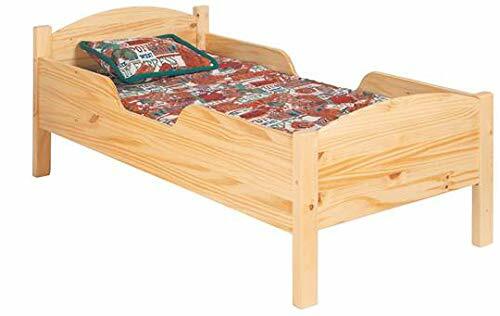 Made from strong and sturdy wood, this toddler bed is stable and durable so you can rest assured to count on it. 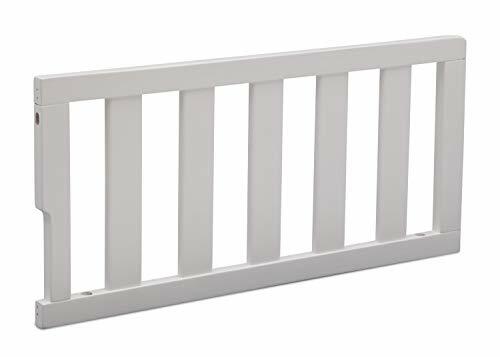 Providing you peace of mind as your little one makes the move to big kid bed, this safe and sturdy Bennington Elite Toddler Guardrail from Delta Children extends the life of your crib by transforming it from a crib into a secure toddler bed. 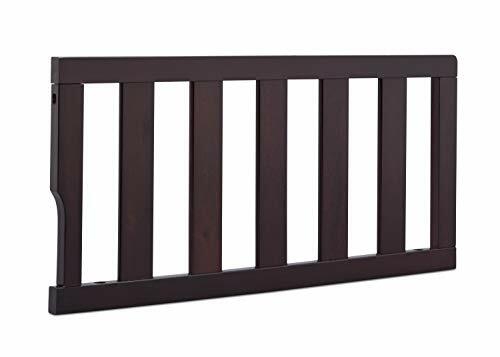 This rail works with the following Delta Children cribs: Bennington Elite Arched 4-in-1 Convertible Crib, Bennington Elite Curved 4-in-1 Convertible Crib and Bennington Elite Sleigh 4-in-1 Convertible Crib. Delta Children was founded around the idea of making safe, high-quality nursery furniture affordable for all families. That's why all Delta Children products are tested above and beyond industry standards. Different clothes meet different occasions, "iLOOSKR"clothes meet various occasions such as work, dating, business, party, outdoor leisure, outdoor sports. 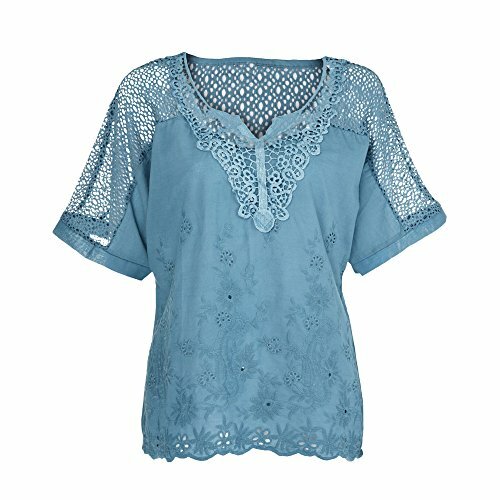 You can save your time for styling before going out, pick this women blouse you can easy get a nice look. The length of the blouse is not long or short it's just right. It is not tight and not too loose.